In people with diabetes, men and women 75 or older have higher rates of seeking hospital care hypoglycemia. The thing is, you don’t have to have diabetes to have hypoglycemia. It can happen to anyone whose blood sugar levels become too low. Left untreated, the blood sugar levels can become so low that the person becomes unable to fix the problem. People with type 1 diabetes have a higher risk of developing severe hypoglycemia. The mild stages, however, are a risk for anyone. 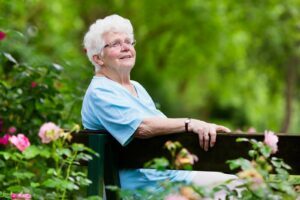 Homecare in Darien IL: What is Hypoglycemia? In the mild stage, you may feel shaky and sweaty. You can feel jittery like you’ve had too much caffeine. You can feel lightheaded, hungry, and disoriented. As it worsens, you might become irritable and find your heartbeat speeds up or seems to skip beats. In the severe stage, you can have seizures or become unconscious. For people with diabetes, hypoglycemia can happen when you take medications that increase insulin production. It often happens when you’re not balancing activities and diet with the insulin or medications you’re taking for diabetes. You don’t have to have diabetes for hypoglycemia to occur. It can happen if you’re starving your body of carbs. Carbs convert to glucose in the body. If you’re not eating carbs, glucose levels can drop. Drinking excessive amounts of alcohol and not eating food can lead to lower glucose levels. Skipping meals can also cause low blood sugars. When you’re ill and aren’t eating as much, hypoglycemia is common. If you have a stomach virus and can’t keep food down, it’s common for blood sugar levels to drop. That’s why it’s important to keep trying to eat, even if you’re only eating saltines. -If you start to feel shaky and know you haven’t eaten for a while, it’s important to quickly boost blood sugar levels. If you’re diabetic, check your blood sugars and take the action your doctor has recommended. Glucose tablets can help a diabetic. If you don’t have diabetes, a small glass of juice or a handful of raisins will help. -Seek a doctor’s care after that. You want to make sure your diabetes medications are working correctly. If you don’t have diabetes, you want to make sure that diabetes isn’t a possibility. -Keep an eye on your parent. Seniors often struggle with diet. Joint pain makes it hard to hold a knife or stand at the stove for an extended period of time. If your parents focus on quick meals, such as canned soup or freezer meals, they may not be meeting their nutritional needs. Caregivers can help with meals. They can also watch for signs of hypoglycemia. Caregivers come as often as your parent needs. They can help with more than meals, too. They can help with laundry, changing sheets, and scrubbing surfaces. Call a home care agency to get started. If you or an aging loved-one are considering Homecare in Darien, IL, please contact the caring staff at Suburban Home Care today. Call (630) 964-900.